On May 25 the 2018 Property Tax bills were mailed out to Calgary residential and non-residential property owners. All property owners should receive their property tax bill(s) in the mail before the end of this week. Section 353 (1) of the Municipal Government Act requires a municipality to pass a property tax bylaw annually. The bylaws authorize The City of Calgary to tax properties within the municipality in order to fund both the municipal budget and the provincial property tax requisition. The property tax bills are based on the final property tax rate approved by Council each spring, after The City receives the provincial government’s property tax requisition. This week Calgarians will be receiving their 2018 Property Tax bills. Over 510,000 for residential and non-residents properties letters were sent out. This funds the City’s operating budget for municipal services. Property taxes are due Friday, June 29. A late payment penalty of 7 per cent will be applied to any unpaid portion of property taxes on July 1 and October 1. Further penalties of 1 per cent will be added on the first day of each month to any portion remaining unpaid after December 31. The property tax deadline does not apply to property owners who pay monthly through The City’s Tax Instalment Payment Plan (TIPP). More than 270,000 property owners pay their taxes monthly through TIPP. Property owners can join TIPP at any time by visiting the Web site at www.calgary.ca/TIPP to request an agreement or by calling 311. Council reduced the previously approved 2018 property tax increase from 4.7 per cent to 0.9 per cent to help property owners still feeling the effects of the downturn. With the removal of the 2017 one-time municipal rebates residential property owners will see a 3.8 per cent tax rate increase: 2.9 per cent from the removal of 2017 rebates / deferral of 2017 property tax, and 0.9 per cent increase in the 2018 municipal residential tax rate. Times are tough for many, and that is why the City has an assistance program, visit www.calgary.ca/ptap or call 311. Seniors may be eligible for provincial support, by visiting www.seniors-housing.alberta.ca or 877-644-9992. If you have further questions you can also contact my office at ward04@calgary.ca or (403) 267-3732. How much is the 2018 municipal property tax rate increase? For 2018, Council reduced the previously approved 4.7 per cent municipal property tax rate increase to 0.9 per cent to help property owners still feeling the effects of the economic downturn. In 2017, Council approved two property tax rebates that were applied to last year’s property tax bills as a one-year credit (1.4 + 1.5 = 2.9 per cent). There is no rebate for 2018. With the removal of the 2017 one-time municipal rebates, property owners will see a 3.8 per cent increase in the municipal residential tax rate. What is the combined municipal and provincial tax rate increase for 2018? The 2018 combined municipal and provincial property tax rate increase is 0.2 per cent for residential property owners (0.9 per cent for municipal purposes and -0.8 per cent for provincial purposes) and 1.0 per cent for non-residential property owners (0.9 per cent for municipal purposes before the 2018 transfer of business tax revenues and 1.3 per cent for provincial purposes). What does this mean in terms of the impact on Calgary households? Property taxes could still go up or down if there was a change in the assessed value relative to the city-wide typical per cent change. What’s important is how a property value changes compared to the typical property. – Less than the typical change, your property’s taxes will decrease. 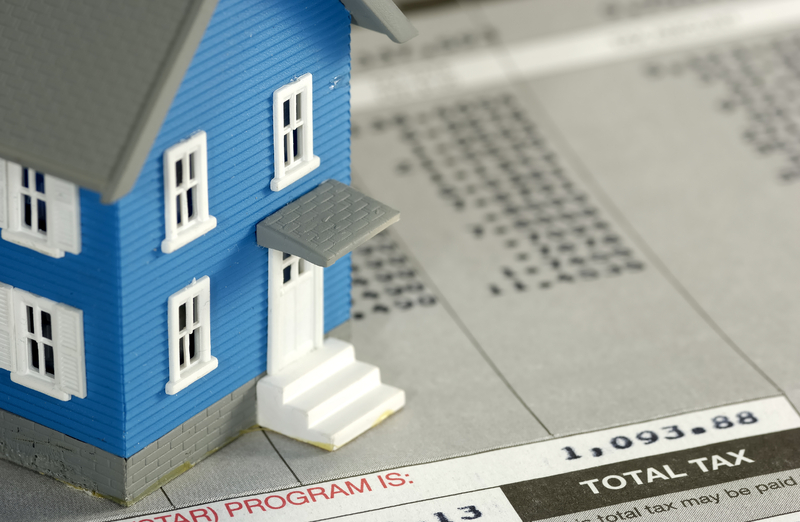 – The same as the typical change, your property’s taxes will stay about the same. – More than the typical change, your property’s taxes will increase. What programs are available to help low income homeowners experiencing financial hardship? Under The City’s Property Tax Assistance Program, residential property owners of any age may be eligible for a credit/grant of the increase on their property tax account. Visit www.calgary.ca/ptap for more information or call 311. Seniors may be eligible for provincial support. Visit www.seniors-housing.alberta.ca or call 1-877-644-9992 for more information. How much of the 2018 property tax bill paid by the typical household will remain in Calgary to support the delivery of municipal services? What has Council done to help Calgary businesses? Through the 2018 Budget Adjustment process, Council set aside $45 million to provide tax relief to businesses. On 2018 March 19, Council approved the 2018 Municipal Non-Residential Phased Tax Program (PTP). As a result, eligible non-residential property owners will experience a maximum increase in the municipal non-residential property tax of 5 per cent (not including the effect of the Business Tax Consolidation) resulting from the preparation of the 2018 market value assessment. It is calculated using the actual 2017 municipal non-residential property tax rate and excludes the 2017 Council Approved Rebates as well as any PTP credits provided in 2017. The 2018 PTP is a separate, one-time program, not an extension of the 2017 PTP. How will non-residential property owners be affected in 2018? In 2018, non-residential property owners will be impacted by the combined property tax rate increase, the business tax consolidation, and the shift in market value assessment resulting from the economic downturn. The combined rate increase is 1.0 per cent for non-residential properties. In addition, this is the fifth year of the incremental transfer of business tax revenues to non-residential property taxes. This means that non-residential property owners will also see a 4.6 per cent rate increase in the municipal non-residential property tax due to business tax consolidation and associated decrease in the business taxes billed this year. Non-residential property owners that qualify for the Municipal Non-Residential Phased Tax Program (PTP) recently approved by Council, will realize a maximum increase in the municipal non-residential property tax of 5 per cent resulting from the preparation of the 2018 market value assessment and shift in market values, (not including the effect of the business tax consolidation). – www.calgary.ca/propertytax for information about property tax. – www.calgary.ca/ourfinances to learn how The City’s finances work, how their tax dollars are invested and find answers to frequently asked questions.